Footage uploaded to video sharing platforms in the past few days shows the functioning of submunitions consistent with cargo (cluster) munitions delivered by a Sukhoi Su-24 (NATO reporting name: Fencer) series attack aircraft. Photographs of SPBE series submunitions were posted to Twitter and Facebook earlier today, as well as the YouTube video below. 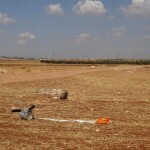 These images, allegedly taken in the countryside west of Aleppo, show SPBE submunitions which have failed to function. These have been misidentified by several observers as the later SPBE-D model, which feature differences in the seeker and control surfaces. Markings on the submunitions indicate both their designation (SPBE) and their year of manufacture (1991). 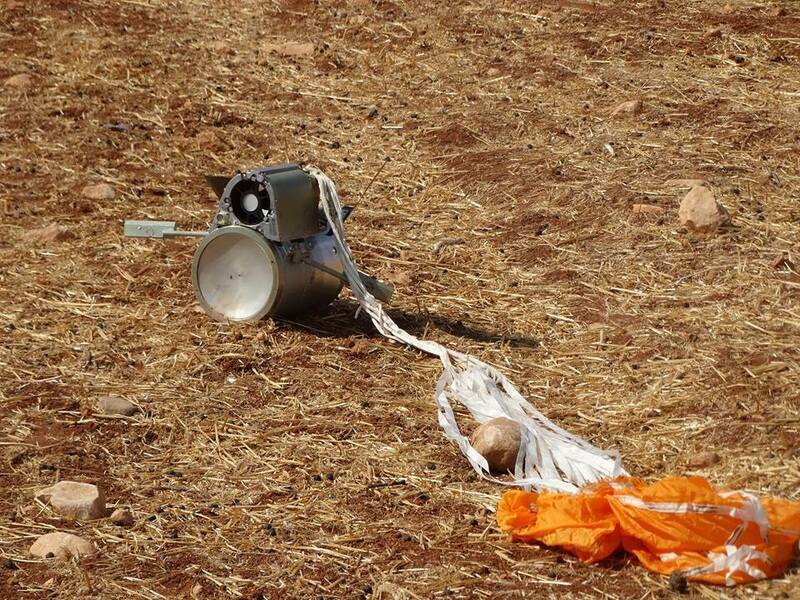 It is not possible to conclusively state whether these submunitions were delivered by the air-delivered RBK-500 SPBE cargo munition or by the 9M55K1 300 mm rocket, fired from the 9K58 Smerch multiple-launch rocket system (MLRS). 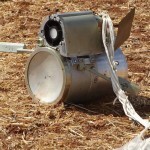 Whilst Syria is known to possess the 9K58 Smerch, they are not known to possess the specific munitions capable of delivering SPBE series submunitions, indicating that these are likely to have been employed by Russian forces. 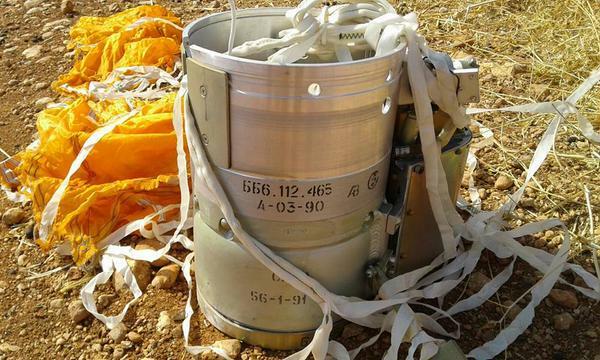 This, taken in context with the videos mentioned above, suggests that the RBK-500 SPBE is the most likely delivery munition. The RBK-500 SPBE was developed by NPO Bazalt in the 1980s, with the intent to produce a munition capable of engaging multiple armoured vehicles simultaneously. This work was awarded the State Prize of the USSR in 1991. 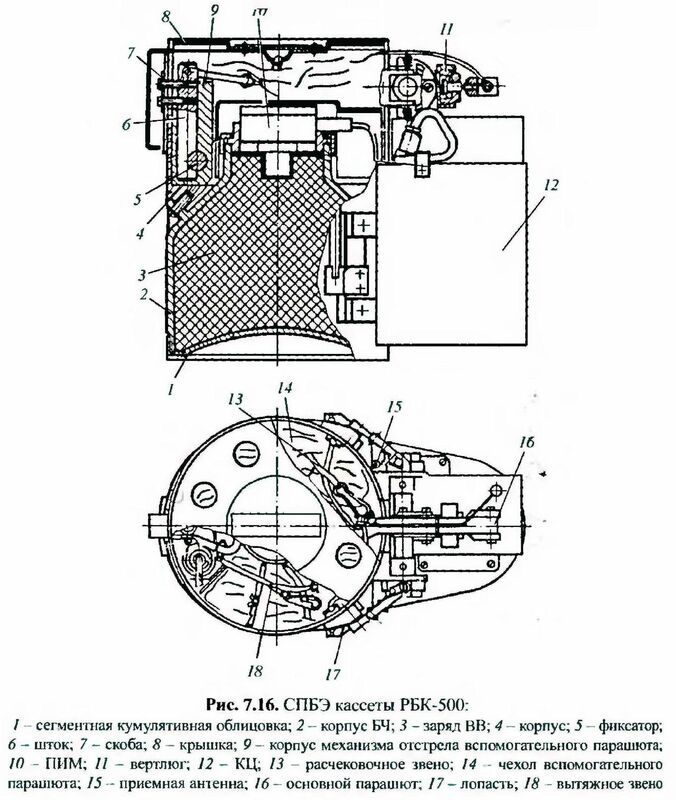 Each RBK-500 SPBE contains 15 SPBE (samopritselivayushchiysya boyevoy element; СамоПрицеливающийся Боевой Элемент; self-guided submunition) submunitions, which use infrared seekers to target armoured fighting vehicles. The later model SPBE-D submunition employs a dual-mode IR seeker, whilst the SPBE-K also includes a radio frequency sensor. 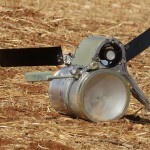 The latest submunitions can be operated in conjunction with an identification, friend or foe (IFF) system, however this is not believed to be a function of the SPBE model. The RBK-500 SPBE is similar in design, function, and use to the US CBU-97 Sensor Fuzed Weapon with its BLU-108 submunitions. However, whilst the CBU-97 is available with Wind Corrected Munitions Dispenser (WCMD) series modification kits which convert it to a precision guided munition (PGM), redesignated as the CBU-105, the RBK-500 SPBE is an unguided munition. The cargo munition functions after a predetermined time delay, ejecting the parachute-equipped submunitions. These spin in a controlled fashion, sweeping the area below for targets. Upon functioning, the SPBE series submunitions fire an explosively-formed penetrator (EFP), which is believed to be capable of penetrating approximately 70 mm of rolled homogeneous armour (RHA) at an angle of 30 degrees, from a distance of 100 m. Some details on the submunitions’ guidance and control can be found in a Russian patent, lodged by Bazalt in 2006. 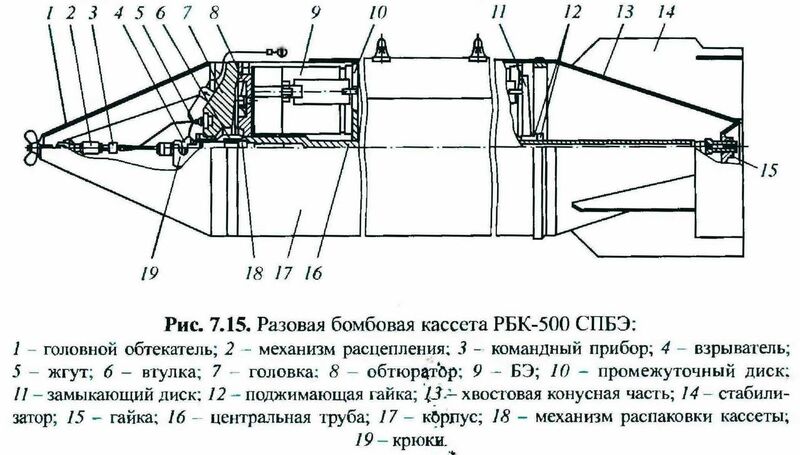 The technical specifications for the RBK-500 SPBE-D, believed to be very similar, and the SPBE submunition are given below. The later SPBE series submunitions are known to have a self-destruct function. 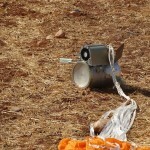 This is the first known use of these munitions in Syria. The intervention in Syria has provided the Russian armed forces with an opportunity to test newer munitions such as the KAB-500S PGM. ARES has documented 11 other submunition models in Syria to date. The video below shows the function and operation of the SPBE-D model submunition, which is very similar to the SPBE. With thanks to Ivan Kochin. Given these specs, would this munition be banned under the cluster munitions convention, which exempts certain types, see: http://www.weaponslaw.org/glossary/cluster-munition-definition ? From a technical, rather than legal, perspective we can say that the RBK-500 SPBE contains 15 submunitions, and so does not meet the requirements for exemption under Article 2(2)(c). However, assuming the SPBE has an electronic self-destruct and self-deactivating feature, a munition delivering fewer than 10 submunitions would be exempt. the munitions did not “fail to function”, they didn’t find an armored target and deactivated themselves. Also the weapon is in the same category as the widely employed USAF CBU-105 anti tank cluster bomb.